Bottom Line: Juice Plus offers a wide range of products with an even wider range of success levels. Historically, people who already use a restricted-calorie diet are most likely to experience success with Juice Plus+ products. 2. History of the Brand: How Did Juice Plus+ Start? 6. Who’s Juice Plus+ For? 7. How Does Juice Plus+ Work? 8. Does Juice Plus+ Work? 13. Any Juice Plus+ Lawsuits? 16. Would Juice Plus+ Work with Your Diet? 17. Verdict: Would I Recommend Juice Plus+? 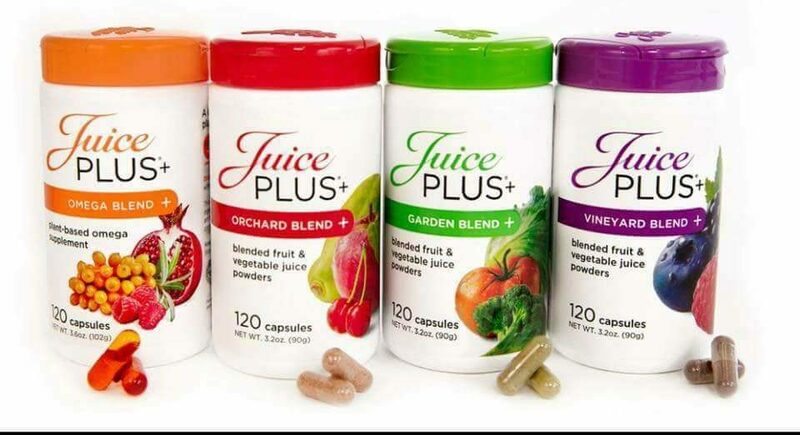 Juice Plus+ is a brand of dietary supplements, that claims to be the next best thing to fresh produce. The products are sold through an MLM, which means you buy from an independent consultant, who may or may not have the health background to be selling these products ethically. Like many MLMs, the business is open to anyone who wants to sign up and earn a commission from the sales. I decided to give the Juice Plus+ capsules a try to see if I could boost my nutrition because let’s be honest – I don’t really like most vegetables. I grew up having them hidden in my food. If I could taste them, it was over from there. But, I know all bodies are different, so you can’t base your experience off mine. That’s why I took it even further and investigated the company, the ingredients, the science to support their formulas, and more. What you’ll find here is a combination of my research and my personal experience. And my verdict could certainly get people talking. If you’d like to try it for yourself, Juice Plus+ can be purchased using their Official Site. Juice Plus+ is a line of health and wellness products – all geared toward dietary supplementation. The products are made from the juices of a combination of 30 fruits and vegetables but aren’t intended to replace the need for fruits and vegetables in your diet. Instead, they are supposed to help you bridge the gap between your diet and what you’re supposed to be eating – so if you miss a serving or two, your overall nutrition doesn’t suffer. The official Juice Plus+ website says the company was founded almost 50 years ago, but really only tells us about what has happened in the company since 1993. They say they began as a small direct sales company that now operates in more than 20 countries. Juice Plus+ products include capsules, chewables, shakes, and bars. The full line of the 30-day Juice Plus weight loss program. Adults are supposed to take two capsules of each blend every day, preferably with each meal. Children under 13 are advised to take one capsule of each blend per day. Orchard Blend: Apple, peach, cranberry, orange, papaya, acerola cherry, pineapple, prune, date, and beet. Garden Blend: Broccoli, parsley, tomato, carrot, garlic, beet, spinach, cabbage, oat bran, rice bran, and kale. Vineyard blend: Raspberry, bilberry, blueberry, cranberry, pomegranate, concord grape, blackcurrant, blackberry, elderberry, artichoke, and cocoa. Sounds great, right? The problem is, we don’t know how much of each nutrient is in the formula because they hide all of that in the name of a “proprietary” blend. Juice Plus is fortified with vitamin C, vitamin E, and folate, which means they are added after the fact, and not part of the fruit and vegetable powders. Juice Plus products are produced by Natural Alternatives International of San Marcos, California. Juice Plus+ is for anyone who wants to bridge the nutritional gap between the fruits and vegetables they do eat, and the fruits and vegetables they should eat. There are directions for adults and children. Juice Plus+ works by helping you close the gap between the fruits and vegetables you should eat and those you do eat. The theory is that with better nutrition, you’ll be healthier and be able to reach your weight loss goals. The stated benefits include appetite control, improved immune system health, increased energy, healthier skin, faster metabolism, and more. However, these are the benefits you should see from eating whole fruits and vegetables. And no matter what supplement you use, they will never replace the nutrition you’ll get from eating the whole food. The capsules don’t really have a taste. I can’t speak for the bars and shakes that come as part of the Juice Plus Complete program, because I didn’t try those. But, others seem to have mixed feelings about them. Some say they are good, while others say they are pretty gross. Headaches are a common side effect with many supplements. There are no official product warnings. If you are on any kind of prescription medication to treat any medical condition, you should talk with your doctor before beginning this or any other supplement. At this time, I couldn’t find anything referencing lawsuits against Juice Plus. The company has an A+ BBB rating, but there are plenty of scam reports on Ripoff Report, MLM Watch, and similar websites. “I bought this because a highly regarded nurse practitioner in a yoga class recommended the product. Way, way too expensive for this man. I didn’t notice any improvement. I read the reviews beforehand, which may me enthusiastic to try. Ah well…. This is updated. The product was purchased a few years ago based on the recommendation of a nurse practitioner conducting a yoga class. My view now is that it is worthless. In my case, a doctor recommended gamma globulin injections, which seems to have done the trick. Luckily I had the insurance. Because this is made with fruits and vegetables, it should work with any diet. If you’re using the shakes or bars, pay close attention to the ingredient list to make sure they fall in line with your program. They may not work with dairy-free or gluten-free approaches. During my time giving the capsules a try, I didn’t really notice any difference in my energy levels. I didn’t sleep better. I didn’t lose weight. In fact, I’m not even sure anything changed. And it’s because of that that I wouldn’t recommend Juice Plus. Instead, I would just aim to get more whole fruits and vegetables in my diet. If you’d still like to try their products, there are several promotional codes, like this one for 10 percent off, out there so you can try for yourself. Juice Plus+ can be purchased through their Official Site.